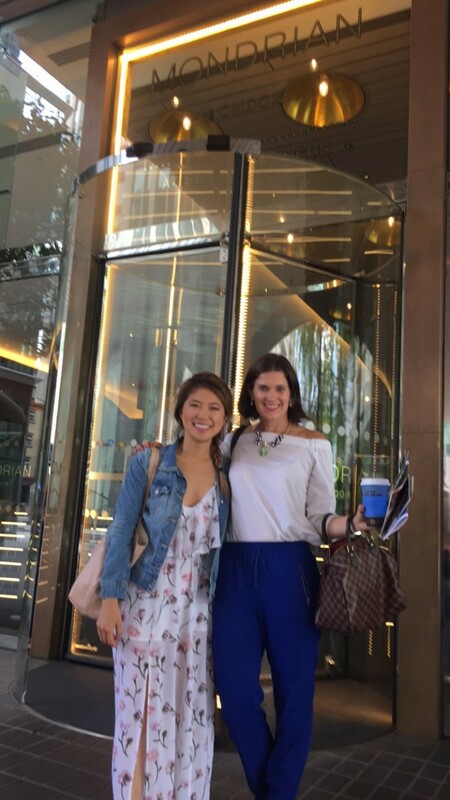 Earlier this summer, I was lucky to be invited on an epic Virgin Atlantic adventure from San Francisco to London. I was one of five bloggers that would experience the Virgin Atlantic direct flight from San Francisco to London. 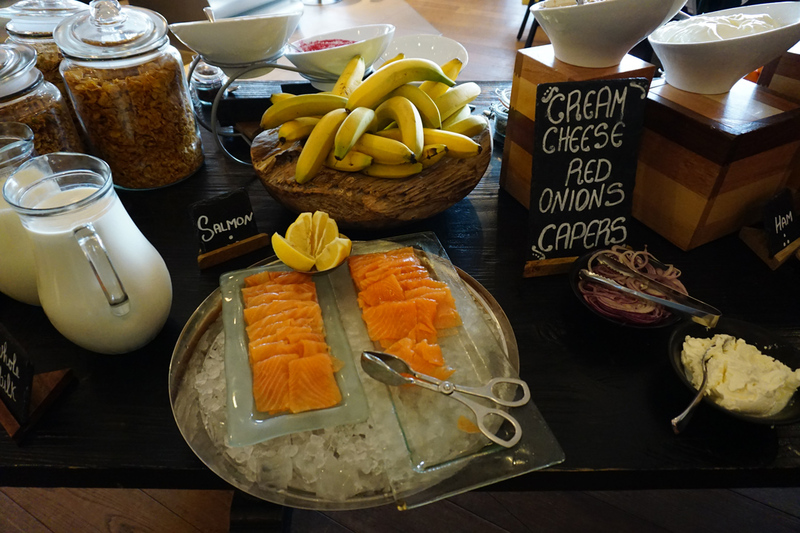 Before you read how we spent 3 nights in London I suggest you read about our incredible Virgin Atlantic Upper Class travels from San Francisco to London. Read more here. Did I say, direct from SFO to LHO? Yes, that’s correct. I was pretty surprised too as this was my first time flying from SFO to London and it was a dream….. 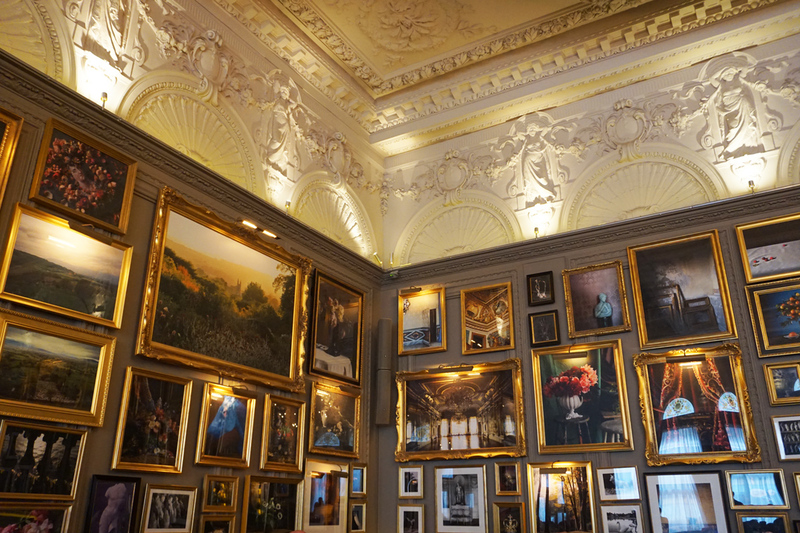 Follow along and see how we spent our incredible weekend in London courtesy of Virgin Atlantic. Day 1 ­ –The San Francisco late evening flight departs SFO at 9:10pm arriving to London Heathrow at 3:50pm so by the time you grab your bags and get into the city it will be close to 5:30 or 6:00pm. 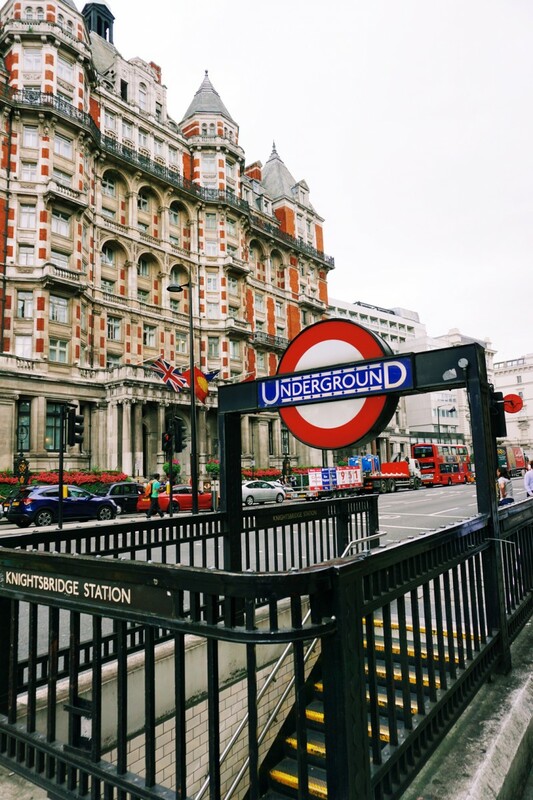 We took a car into London, which was actually my first time ever taking a car from Heathrow to the City as I typically take the Heathrow Express. The Heathrow Express takes 15 minutes and has wifi, and is super luxurious. It’s not exactly cheap, what is in London? The one way fare is 22 pounds, equivalent to $29 USD (depending on the exchange rate. 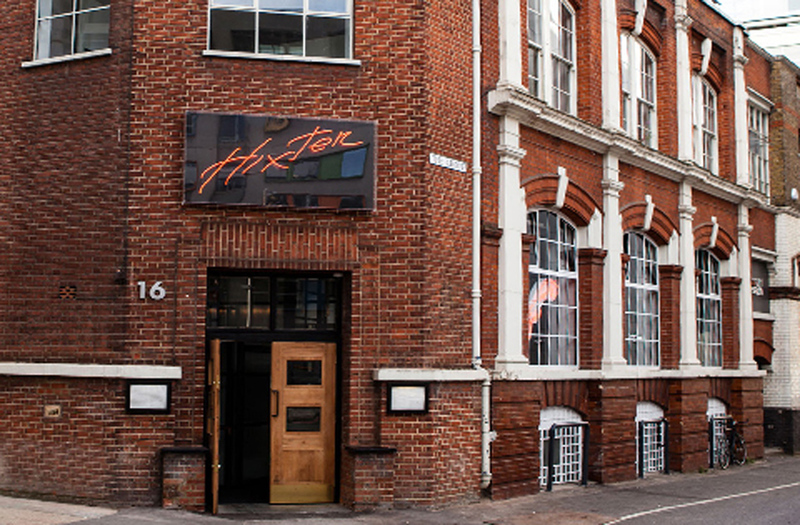 Upon arriving to your hotel, settle in and get ready for your first night in London. 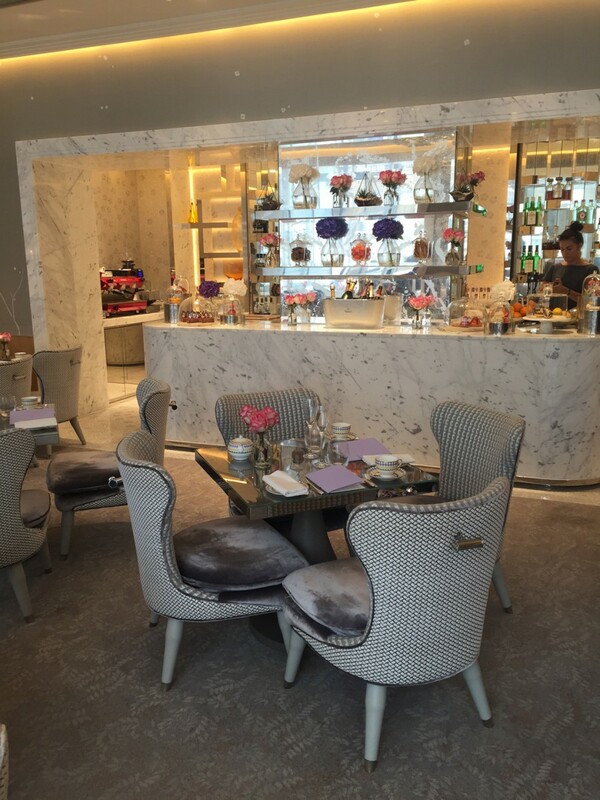 We were lucky to be staying at the Mondrian London of the Morgan Hotel Group located in the Southbank area. I had never stayed with a Mondrian Hotel so was thrilled to be here for the first time. 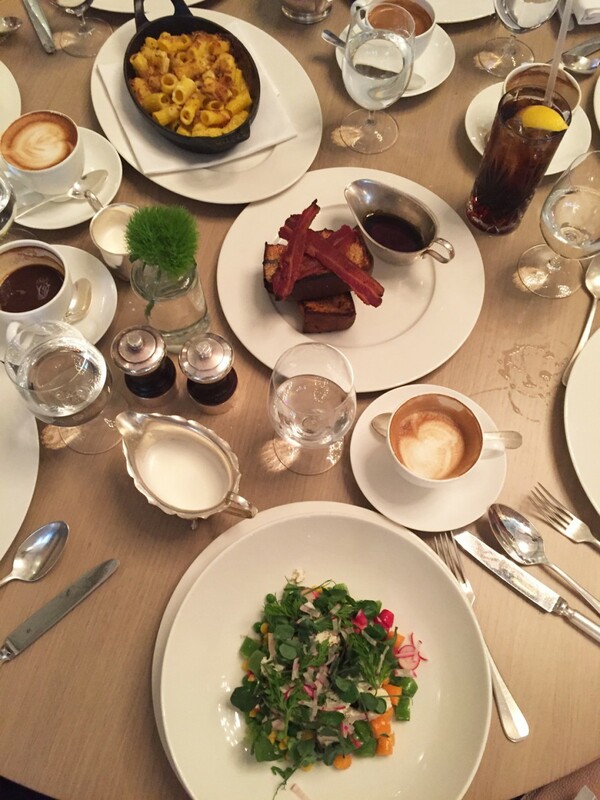 I had visited many of their swanky hotels such as The Delano in Miami, The Gramercy Park Hotel in New York City, where one of my favorite New York City Restaurants Maialino is located. So, you can imagine my excitement to finally get to stay at a Mondrian. 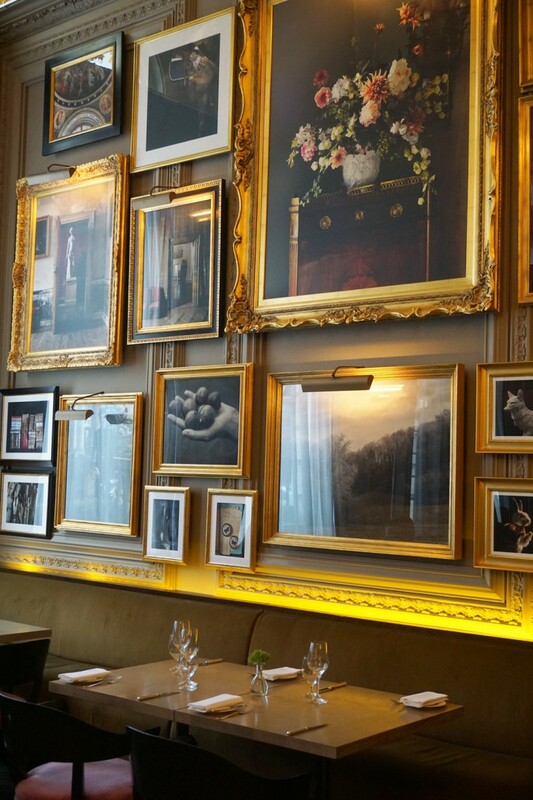 Read about the incredible Mondrian Hotel here. 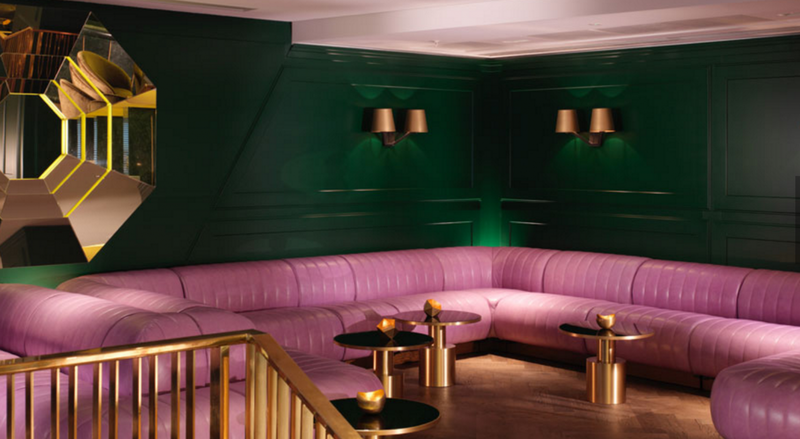 Dandelyan Bar (Mondrian Hotel) – We took advantage of the proximity of the Dandelyan Bar located on the ground floor of the Mondrian Hotel and visited our first night meeting the proprietor behind the incredible cocktail destination Ryan Chetiyawardana. 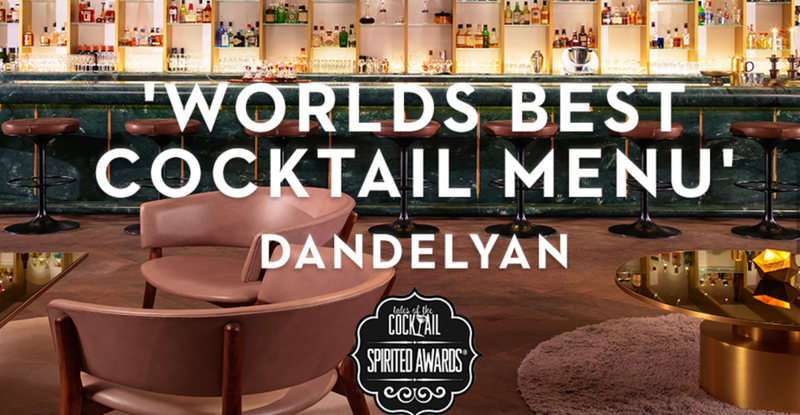 Dandelyan was awarded the Best Bar in The World in 2015 by tales of the Cocktail (the Oscar’s of the Mixology World). Wow! These were some of the most delicious cocktails I have EVER experienced. Seriously. 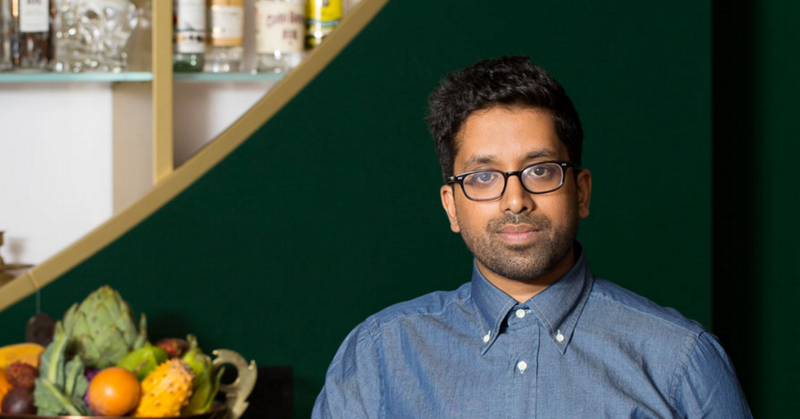 We were hosted by Founder, award-winning bar impresario Ryan Chetiyawardana A.K.A Mr Lyan (Tales of the Cocktail’s World’s Best Bartender 2015). Listening to Ryan share his inspiration for the cocktails I felt as if I was listening to a Chef explain their organically grown and sourced produce. He shared how each cocktail is developed, created and then hand-made for each guest. I should be honest and share that I returned to Dandelyan the next two nights of my stay and probably managed to try almost half of the menu. Incredible. Truly some of the tastiest, freshest cocktails I have ever had. 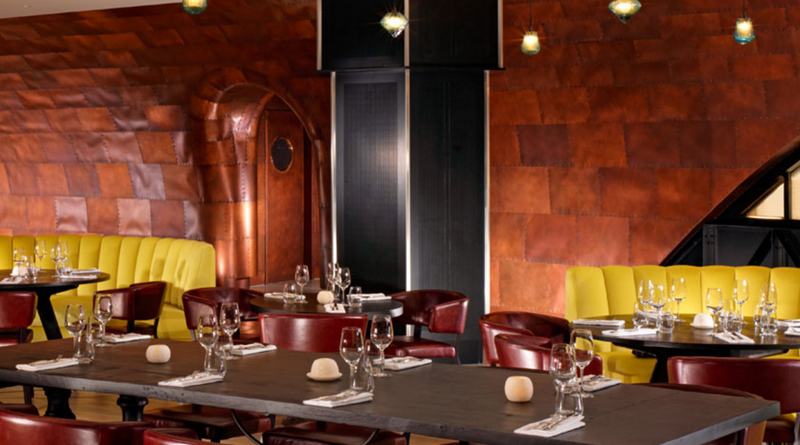 Mondrian Hotel, London, England. 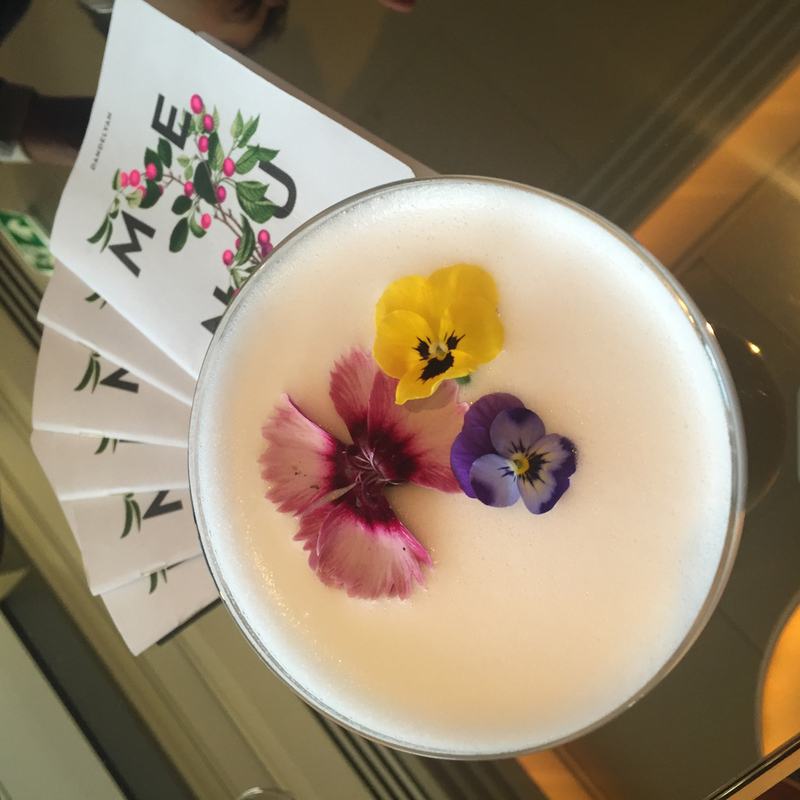 Cheers to my incredible London adventure and the delicious Dandelyan cocktails! 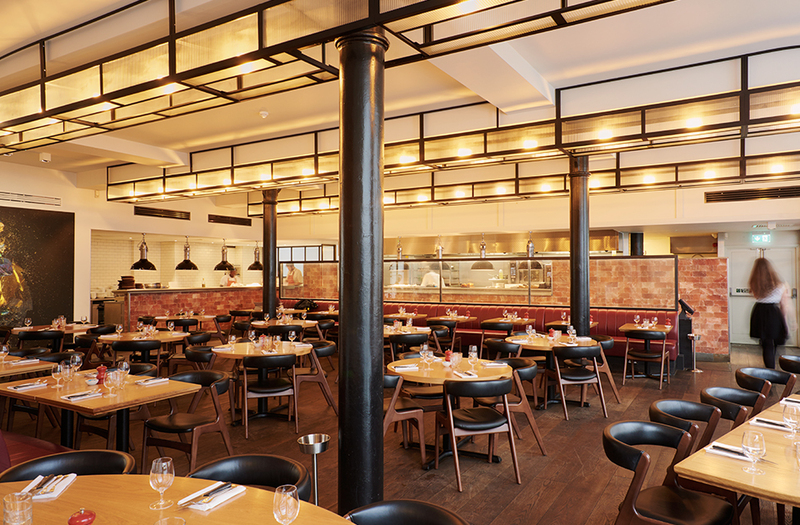 Sea Containers Restaurant – After cocktails at Dandelyan head over to the Mondrian’s Sea Container Restaurant , literally next door to Dandelyan, for dinner. Our group shared a ton of bites which was a great way to experience the various menu options. They are known for a farm to table menu including fresh salads, vegetables, meats and pasta’s. Important tip, the Mac’n Cheese is TO DIE for. The best I had in London and I tried about 4 variations in 4 days. Our group become quite hooked on the English Mac & Cheese but of all that we tried this one was the BEST. 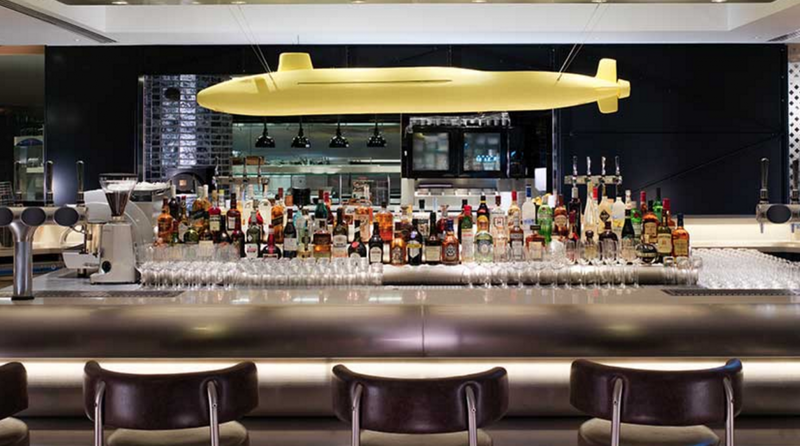 The vibe of the restaurant is very cool, swanky, and lively. 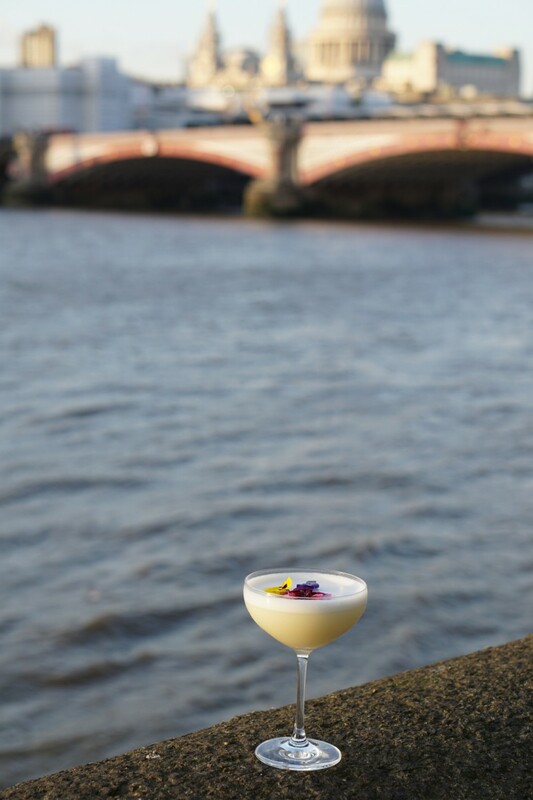 It overlooks the Thames River offering outdoor seating, river side seating indoors or swanky over-sized booths perfect for groups which is where we sat. 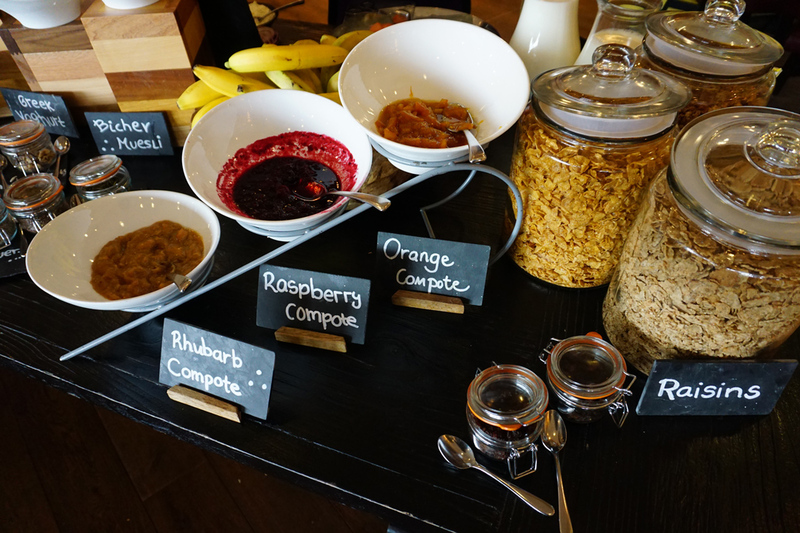 I should also mention they have a great breakfast/buffet which I peeked through one morning, but sadly I didn’t get a chance to enjoy. 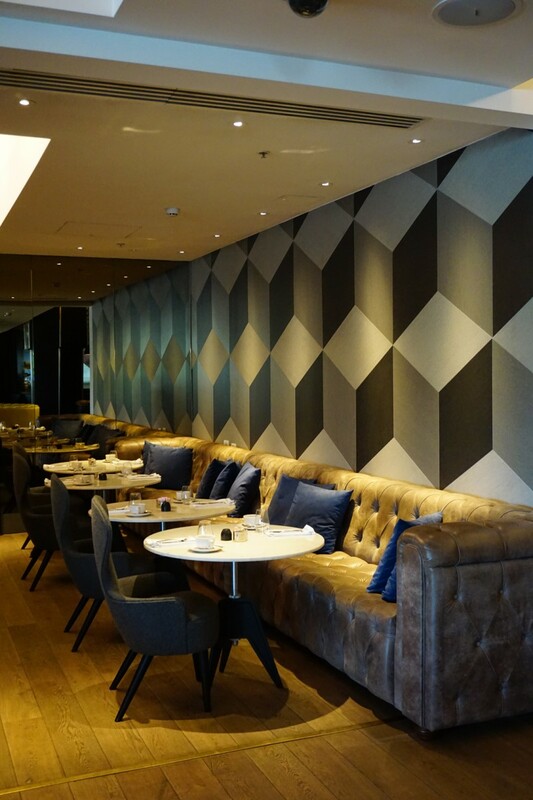 Perfect excuse to return to The Mondrian Hotel & Sea Containers Restaurant. 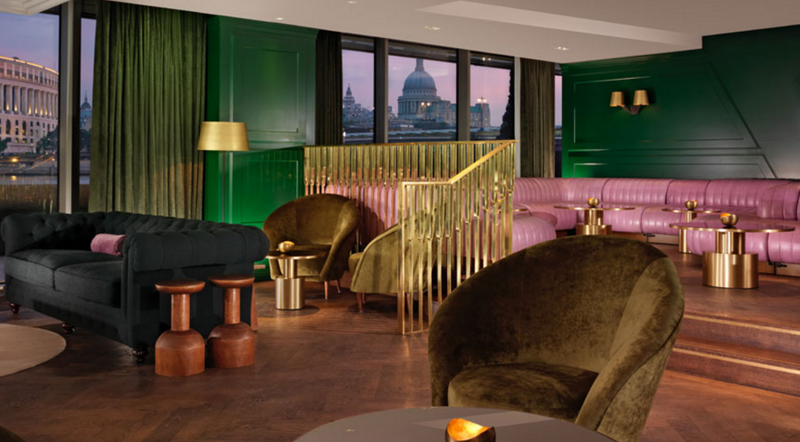 Mondrian Hotel, London England. 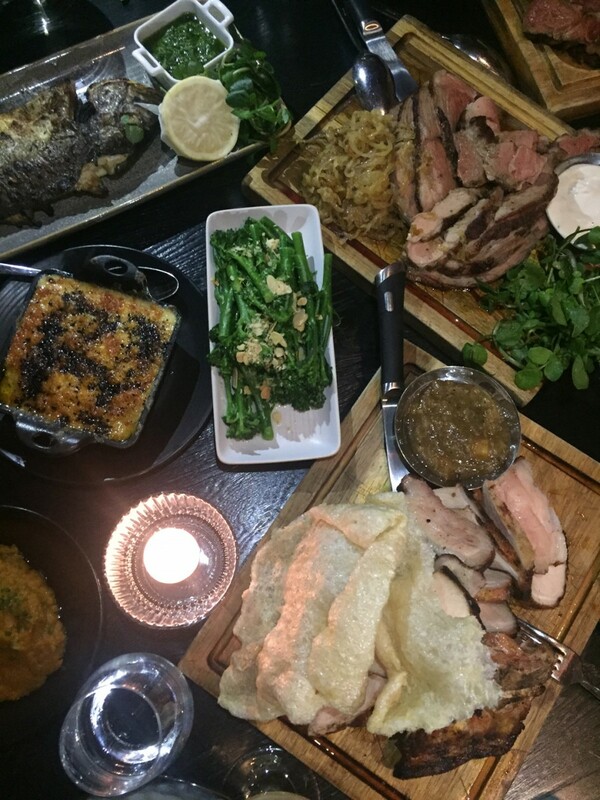 The spread during our incredible dinner at Sea Containers. Where to start! 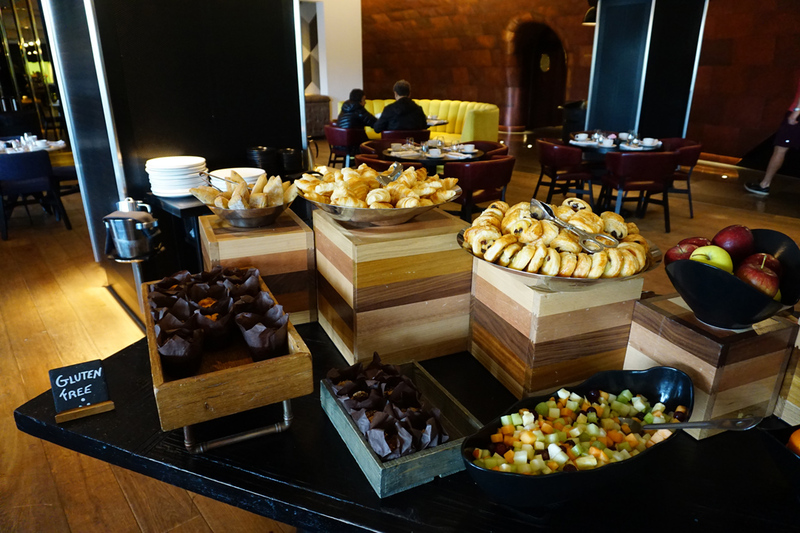 The breakfast spread during the Sea Containers weekend brunch service. For our second day we had a lovely itinerary that the Virgin Team and Visit Britain set up for us. A HUGE thanks to our incredible Virgin Atlantic Team AND Visit Britain for the amazing itinerary. 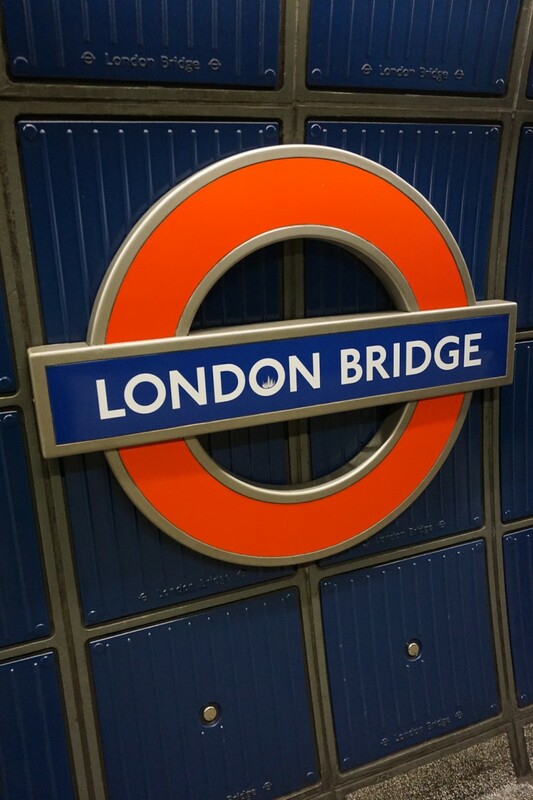 If you’re feeling adventurous hop on the tube (it’s so easy). Just ask your hotel which stop to get on and off of and you’ll easily be able to find your way. It’s also much cheaper than a taxi. We asked the rate for a taxi from our hotel to Kensington Gardens and were quoted 18 pounds or $24 USD. The Tube is 2.4 pounds per trip or $4 USD. After living in London as a college student I ADORE the tube. Not only does it save you money, but time as it’s usually quicker than a black cab. Stop 1 – Visit the Fashion Rules Restyled Exhibit at Kensington Place. This was a fabulous destination for myself and Ally as we got to visit the gorgeous Kensington Gardens AND experience a historical exhibit on London’s Fashion. If you plan to experience this I’d suggest allowing 1-1.5 hours and save a little time before or after to walk around the gorgeous Kensington Gardens and snap some shots. See our entire visit to Kensington Gardens and the Fashion Rules exhibit here. 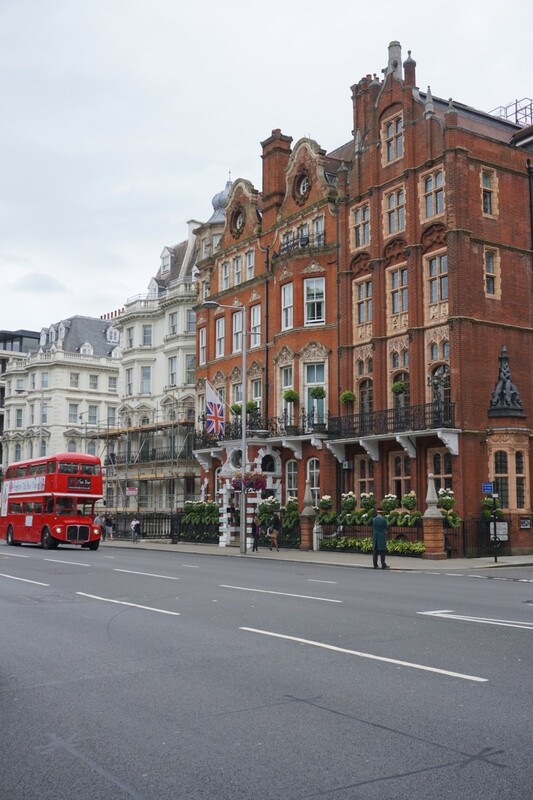 Stop 2- Stroll around Kensington Gardens and enjoy the beautiful views and scenery before heading to The Berkeley Hotel. 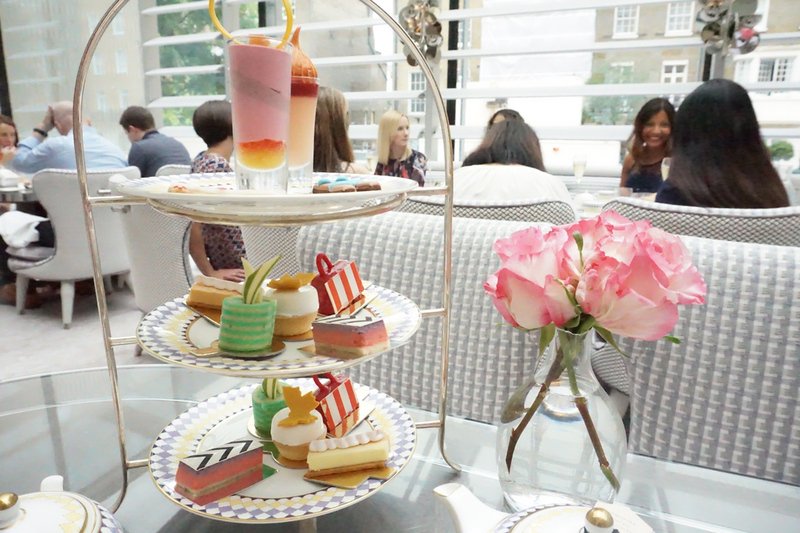 For someone that has visited London nearly 15 times I don’t recall ever experiencing High Tea so I could not have been more excited for the Fashionista’s Afternoon Tea at The Berkeley. The Pret –a-Portea afternoon tea adds a creative twist to the classic elements of traditional English afternoon tea with cakes and pastries resembling the latest catwalk designs. 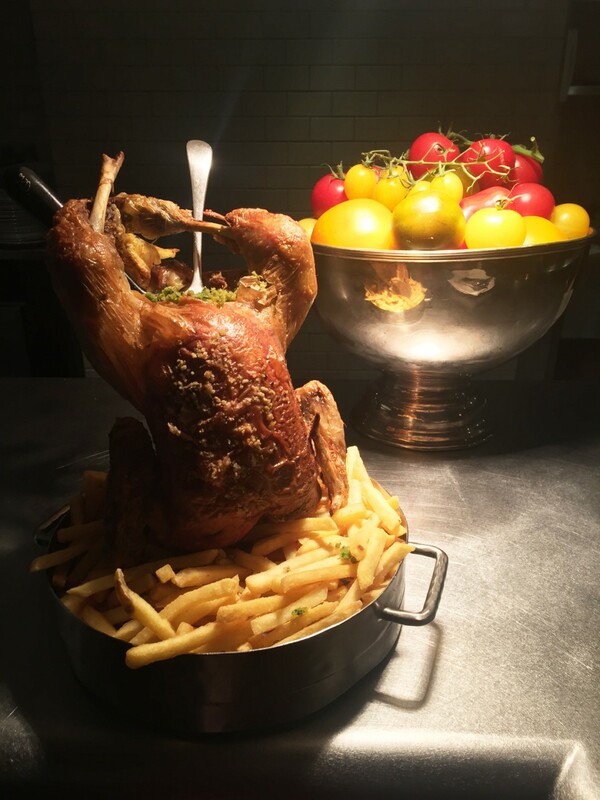 The menu is transformed every six months following the changing seasons in fashion. That’s really the best way to describe this lovely afternoon experience for fashionistas. Read my entire post about this incredible tea here. Kensington Hotel, London England. 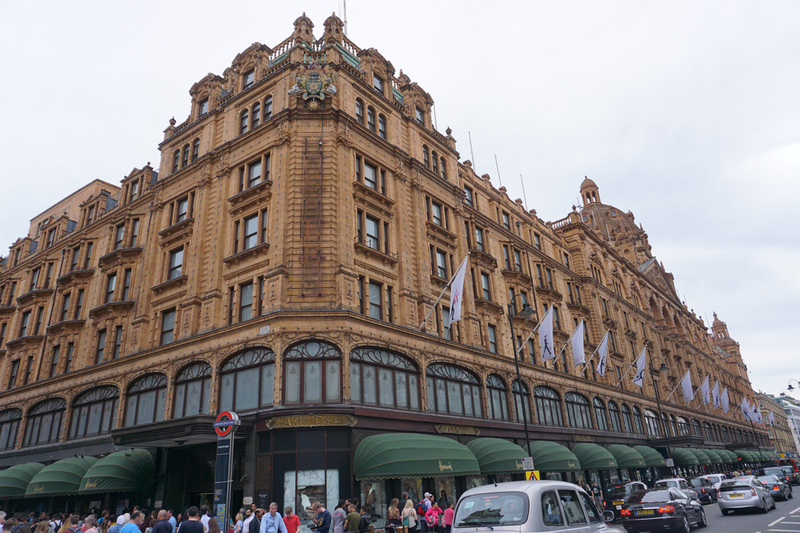 The incredible Harrod’s a MUST for any trip to London. Be sure to visit the Food Hall where you could literally eat for days with all the amazing options. Stop 2: Exploring London. After brunch we split up and everyone did their own exploration of London Tours. 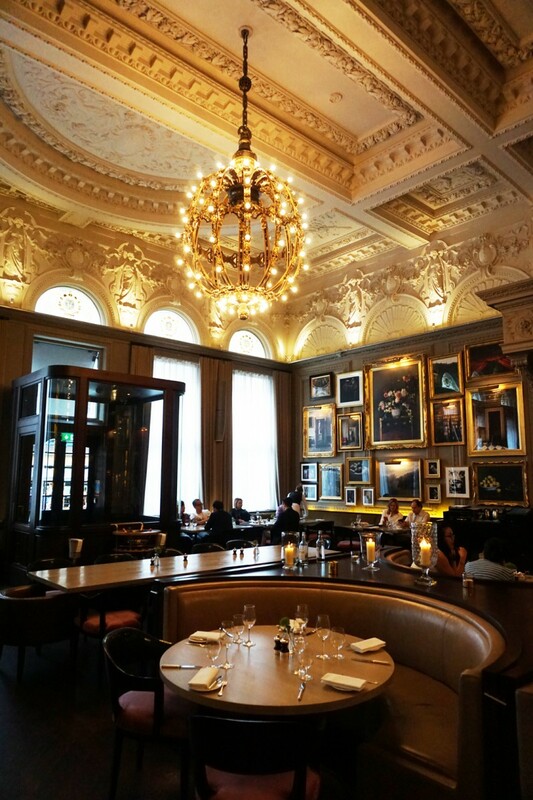 Since I studied in London during college and having been a bunch of times I really wanted to go back to some of my favorite spots and check out a few new spots I’d been recommended. After Portobello Market I walked through Notting Hill which is literally at the end of Portobello Market and found a few other stores I enjoyed. It’s fun to just get lost exploring. 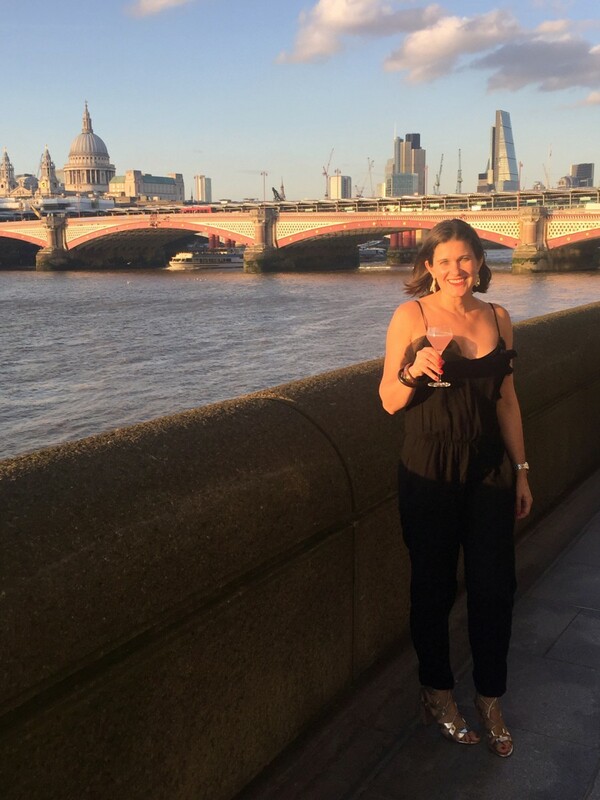 I hope you enjoyed following along on my London weekend adventure!! Thanks again to Virgin Atlantic for flying me to London and hosting me for the weekend adventure. What a magnificent weekend I will never forget! !